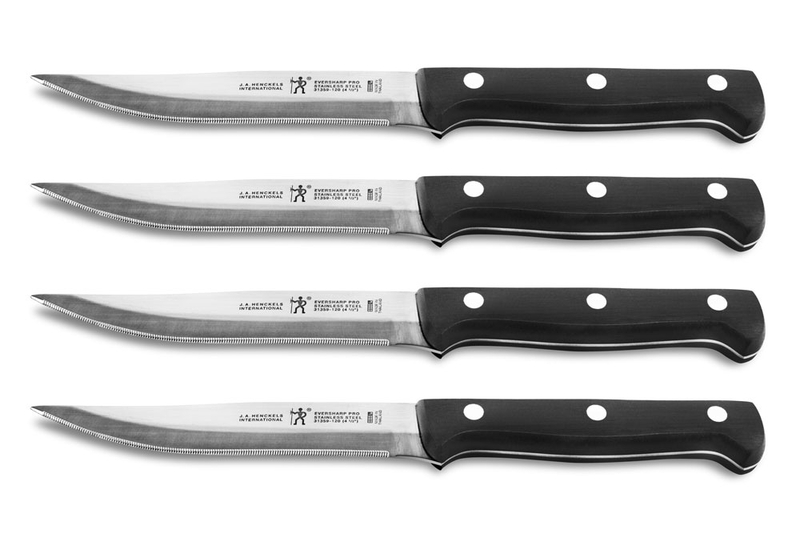 The Henckels International Eversharp Pro Steak Knife Set elevates your experience with eating meat. Effortlessly slice steaks, pork chops, and chicken cutlets with their micro-serrated edge, these handy blades never need to be sharpened. Each time meat is on the menu, you'll want to reach for this useful set. 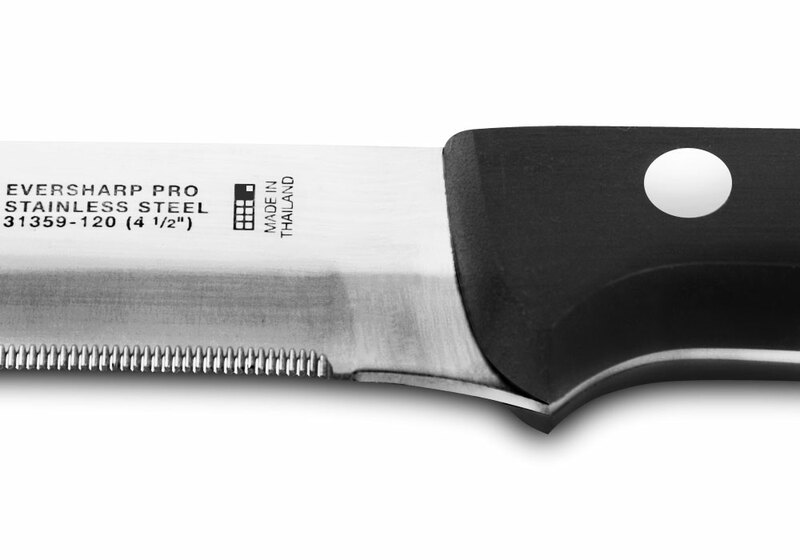 Fabricated from high-quality stainless steel, these lightweight knives offer single-piece, precision-stamped blade construction for long-lasting durability. 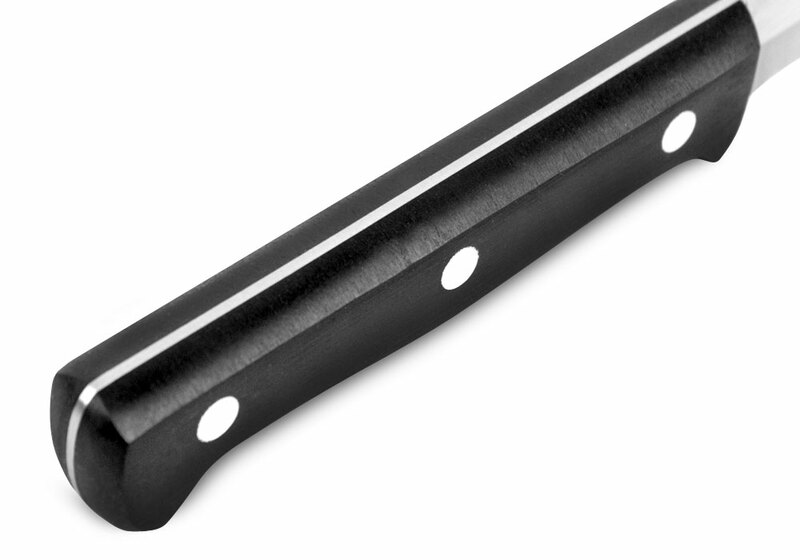 Enjoy tireless cutting with the traditional triple-rivet handle, deftly designed for comfort and balance. Henckels International makes essential kitchen tools every home chef needs. From steak knives to spatulas, each product boasts high quality at an exceptional value. Created in 1895 by Zwilling J.A. Henckels, this value-driven brand guarantees the same durability, design and ease of use for which the global company is known. Equip your kitchen with expertise with Henckels International.